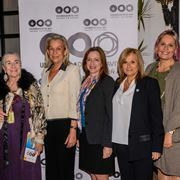 Following their first gala event in November 2017, Tel Aviv University’s Austrian Friends and the Medical University of Vienna (MU) hosted their second gala dinner in Vienna, helping to raise funds for joint research projects between the two institutions. With over 200 guests in attendance, the gala celebrated the successful cooperation between TAU’s Sackler Faculty of Medicine and MU. 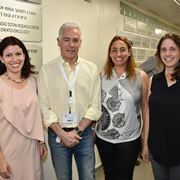 Dr. Bernhard Ramsauer, President of Austrian Friends, spoke of how TAU is at the heart of the Israeli high-tech innovation sector, and how it has steadily grown in stature. “This is reflected in the growing number of cooperation projects with leading academic institutions around the world,” he noted. TAU Vice President Prof Raanan Rein also stressed the importance of international cooperation, mentioning some of TAU’s successful cooperation agreements. Prof. Markus Müller, Rector of MU, and Prof. Wolf-Dieter Baumgartner, also of MU, told the audience about the longstanding collaboration with researchers at TAU decades prior to the official cooperation agreement signed in 2017, collaboration that had already yielded successful findings in medical research and clinical practice. 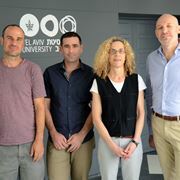 Prof. Liat Kishon-Rabin, of the Department of Communication Disorders and Head of the Stanley Steyer School of Health Professions, gave a lecture on "Nourishing the Brain from Infancy with Hearing and Language Interaction."